Is your garden a thief’s paradise? One of the only benefits of winter lasting almost until April, like the one just gone, is that once it’s over summer arrives fast and a home’s garden comes into its own! But while gardens might be great playgrounds for everyone, adult or child, unfortunately thieves love them too. 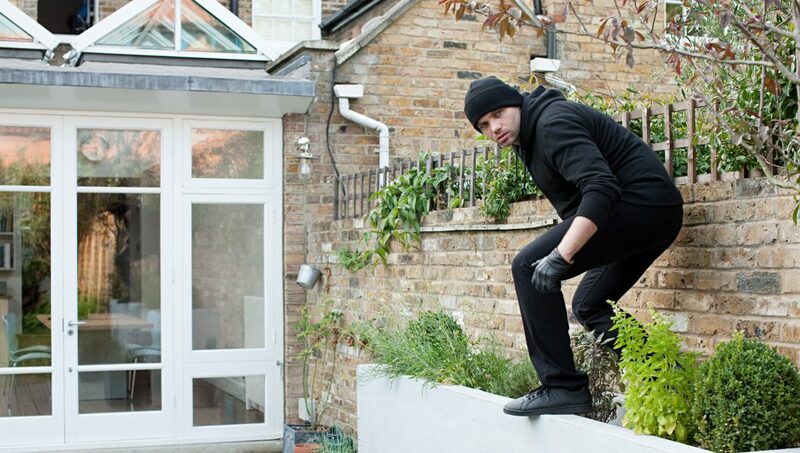 A home’s outside space can offer burglars plenty of cover for their nefarious activities, including potentially easy access to upper levels, and any valuable items kept outside. Gardens can have possessions lying around in them worth hundreds, if not thousands, of pounds. A decent outdoor sofa, for example, will set you back around £800. A good BBQ adds another £500 and nice dining furniture set £1,000. Then there’s a lawn mower, garden tools and plant pots, which could easily add another £500 to £1,000. That’s a fairly typical list of items to find in someone’s garden and yet it adds up to over £3,000 worth of stuff! However, there are plenty of policies which don’t financially protect you for anything left or kept in the garden, so it’s certainly worth checking with your insurer or insurance broker what the terms are. But even with the right insurance, deterring burglars in the first place is the best idea. Being burgled can be both emotionally upsetting and costly in terms of increased policy premiums; you would possibly lose your no claims bonus and be seen as a greater ‘risk’ by insurers, putting up the cost of future cover. Here are the key things you should do to make your outside space as thief-proof and secure as possible. Garden alarms are available which use passive infra-red or door contact as triggers. House alarms can be extended to include sheds, garages and other outbuildings. Closed circuit television systems can be expensive, but are very good deterrents. Cheaper visual systems using digital cameras are available. Movement sensor lights are great at putting off thieves. Keep fences solid and fix trellis to the top edge as trellis usually won’t support much weight. Grow thorny climbing plants and bushes around the edge of your garden and close to the house. Keep front walls and fences low so criminals can’t hide behind them. High hedges make a good barrier at the rear. Gravel on drives and paths make it almost impossible for thieves not to make a noise when approaching a home. Keep gates shut and locked. Don’t leave expensive items, such as mowers, tools and furniture, lying around. Fit heavy duty locks, as well as strong windows and doors to outbuildings where items are stored. Lockable boxes, for bikes and valuable items might be worth it if your outbuildings are old and rickety. A great deal of theft is opportunistic, and thieves want a quick and easy sale of items for cash. Marking items with a properties address and in other ways, such as through electronic tagging or by engraving, can deter burglars as it can make things that bit harder to deal with and sell on.